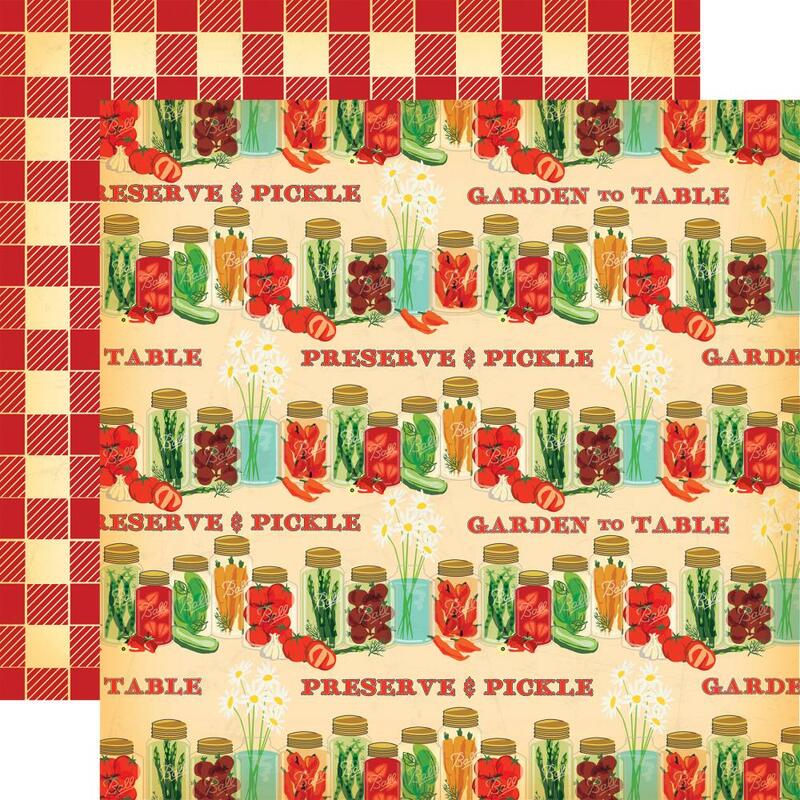 This 12x12 double sided paper has rows of Mason Jars that are full of Fruits & Vegetables on the frontside. The reverse side has a Bold Checkered Pattern. Look for other coordinating products that include PhotoPolymer Stamp Set, Ephemera Die Cuts and Frames & Tags, Element Sticker Sheet and Designer Papers. Country Kitchen Collection by Carta Bella.